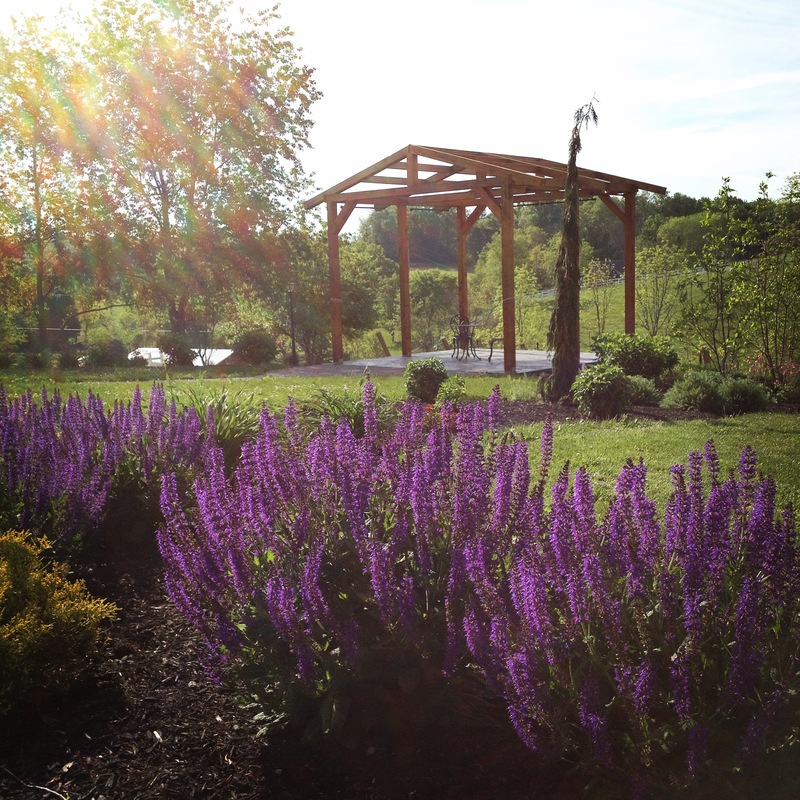 Brianza Gardens was designed with intimate weddings in mind. Our wedding gazebo is built in the middle of our gardens and overlooks the vineyard. We make sure we provide you with a breathtaking backdrop for the most important day of your life. For any couple with outdoor wedding ideas, consider giving Brianza a visit. We would love to show you around our exquisite gardens and show you how we will be the best garden wedding venue. 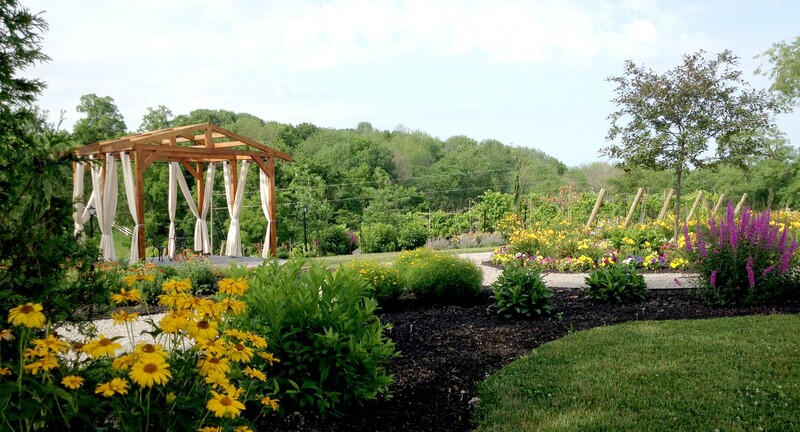 We welcome visitors to walk and picnic along our .5 miles round trip of walking paths where over 75 unique flowering plants, trees and shrubs are featured. We encourage you to take this unique opportunity to take breathtaking photos. The gardens limestone walkways guide you from the tasting room to Sweet Bottom Creek, then up a short hill to the centerpiece of the gardens. 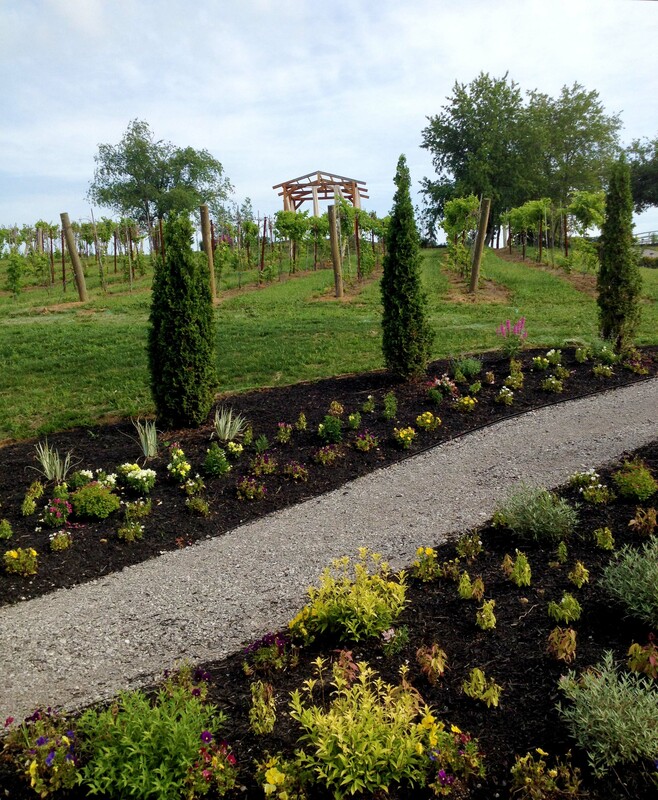 The arched bridge leading to the gardens is complimented by natural limestone rock found here at the vineyard. Benches are placed throughout the gardens for guests to enjoy the views, soothing sounds from the lake water fountain, rows of thriving grapes vines, soft blowing breezes and peaceful serenity. A large level green space has been perfectly positioned between the gardens and vineyard for tented occasions so guests are surround with beauty. We would love to have you celebrate your ceremony or any special occasion with family and friends.